WIN A COPY OF “JUST JEN!” – it's only a bruise. Hey everyone! 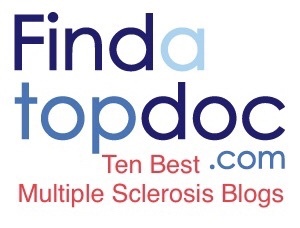 I’m giving away a copy of Just Jen: Thriving Through Multiple Sclerosis! The contest runs through 11:59pm CST May 28, 2017 and I will announce a winner on Monday, May 29th. This contest is open to US residents only (sorry! ), ages 18+. You may have up to five entries to win–ENTER HERE! I also wanted to take a moment to thank everyone who offered condolences for my dear friend Krysa, who passed away a couple weeks ago. I try to keep mostly everything here centered around living with MS, but I felt it was important to honor her in this way, especially because of how she impacted the way in which I cope with MS, and because she is the inspiration behind It’s Only a Bruise and the meaning behind it. She will truly be missed. Help me reach $5,000 for Walk MS by clicking here! I can’t wait to read your book!! It’s not mine :). It’s a book I reviewed on here a couple months ago.